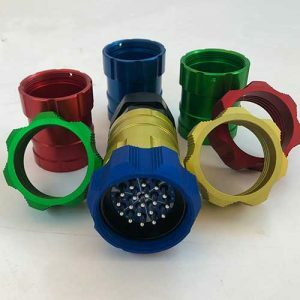 Our manufacturing service can also offer colour options for connector bodies and locking rings. When using a large number of cables, whether it is a live gig or a theatre show, it can be difficult to discern which cable is powering which equipment. Coloured connectors can be attributed to different equipment to make them easily recognisable and can be used to avoid cross connection.